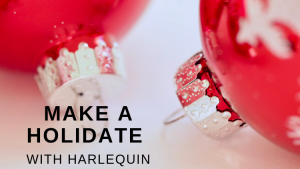 Get ready to celebrate a romantic holiday season with your favorite Harlequin hero! Celebrate the snowy season with these fun heroes, and don’t forget to share them with your friends using the links below. Who is your favorite Harlequin hero? Let us know which guy you’d love to spend the holidays with! Which Harlequin Hero Is Your Favorite? Don’t forget to visit TryHarlequin.com for more amazing heroes, just in time for the holidays!